It was Khaya Ndubane who got the better of Jonty Mark in successfully predicting Bafana Bafana’s amazing Afcon qualifying win over Nigeria on June 10. This time, the two go head-to-head again as they cast their verdict on the winner of Saturday’s Nedbank Cup final between Orlando Pirates and SuperSport United. 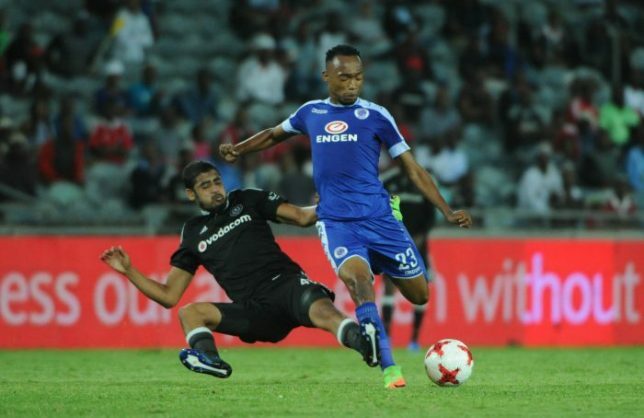 There are many reasons why SuperSport United will win Saturday’s Nedbank Cup final, but let’s start with the most obvious – they are playing Orlando Pirates. The Buccaneers have been dreadful in 2016/17, a bumbling, disorganised rabble of over-hyped players whose apparent lack of care for the shirt so incensed former Buccaneer Moeneeb Josephs that he famously branded them “Instagram” stars. Pirates have won six of their 30 league games this season, shipping 40 goals in the process, and if they have battled their way well enough into the Nedbank Cup final, improving ever-so slightly under the guidance of Kjell Jonevret, there is no way they will have enough for SuperSport on Saturday night in Durban. Even ignoring this season, Matsatsantsa have a psychological edge over Pirates heading into this game, having beaten them 3-2 in last year’s Nedbank Cup final, with the victory more comfortable than the scoreline suggests. Then came the 6-1 league thumping in Nelspruit in November, Muhsin Ertugral so embarrassed he resigned live on television after the game. There was a 1-1 draw in Orlando, but only after an extremely controversial decision to rule out Jeremy Brockie’s strike. Brockie will no doubt head up a powerful SuperSport attack in Durban on Saturday, and one that should have just too much artillery for Pirates’ creaky defence. Pirates, meanwhile, don’t even seem to know who their best striker is, be it Thamsanqa Gabuza or Tendai Ndoro, whose goals have basically dried up in 2017. Then there is the Stuart Baxter factor. The man himself has done his best to play it down, but there is no doubt SuperSport’s players will have extra motivation on Saturday to do the job for their coach, before he leaves full time for the Bafana Bafana job. Expect SuperSport to complete a season of misery for Pirates. Having finished outside the top eight for the first time since the inception of the Premier Soccer League, Orlando Pirates will be looking to redeem themselves by winning the Nedbank Cup. Granted, SuperSport have had the better of Pirates this season, having beaten them 6-1 and drawing 1-1 with them, but this is a cup final. Bucs might have been struggling upfront as Jonty suggested, but it only takes one goal to win the match and that goal could be scored by anyone on the day. Yes, SuperSport might have beaten Pirates in the final last year, but things have changed since then. Stuart Baxter has deserted them and joined Bafana and some of their players don’t know what the future holds for them after the Englishman has left. If ever there was a perfect time for Bucs to avenge the defeat they suffered to SuperSport last season then this it. Baxter’s influence in the team seems to have gone as well judging about how they played against TP Mazembe in the Confed Cup this week. He just couldn’t lift his team on the day and I sense the same scenario taking place on Saturday. Lastly, Durban has been a happy hunting ground for Pirates over the years and I see them lifting another cup there this Saturday.